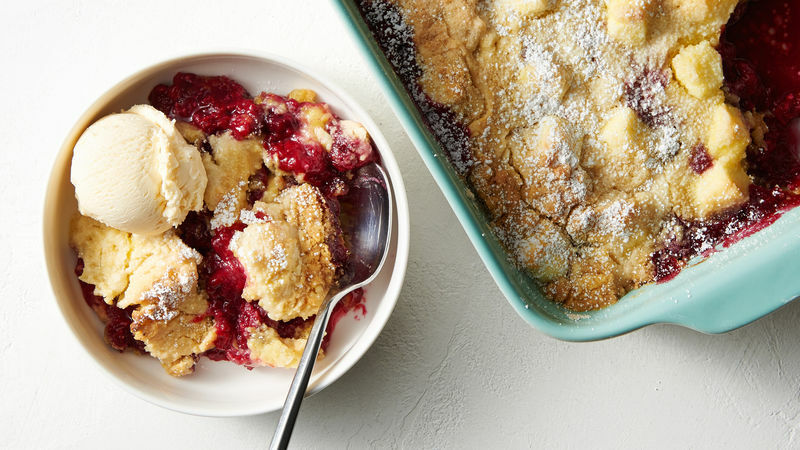 Despite its name, it’s no wonder why dump cakes are a home baker’s dessert dream come true. In a fraction of the time and often with fewer steps than it takes to make other types of desserts, dump cakes are made by literally dumping the ingredients together into a dish and baking. Just start with a box of cake mix and then add in the rest of your ingredients—like fruits or berries, chocolate chips and marshmallow, or even pretzels! And because we believe you can never have too much of a good thing we always like to add an extra bit of whipped cream, drizzled chocolate or big scoop of ice cream just before serving to really finish the dish off right. So when you need an easy go-to dessert that will impress your friends and family, look no further than these or any of our other amazing dump cake recipes that are perfect for last-minute company, potlucks, celebrations or lazy weeknight dinners.